The Mutron Biphase is a legendary (bi)-phasor pedal, made by Musitronic's around 1975/76... It's a 12 stages or 2*6 stages optical phasor and one of the best i have ever heard. I have repaired many of them. Also one day of 1996, i have cloned it. 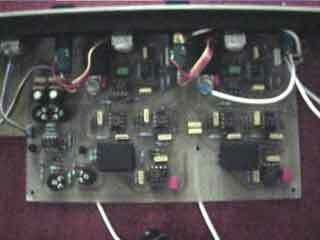 I have redrawned schematics from original pcbs of a vintage Mutron Biphase and assembled the prototype in a 1U rack. 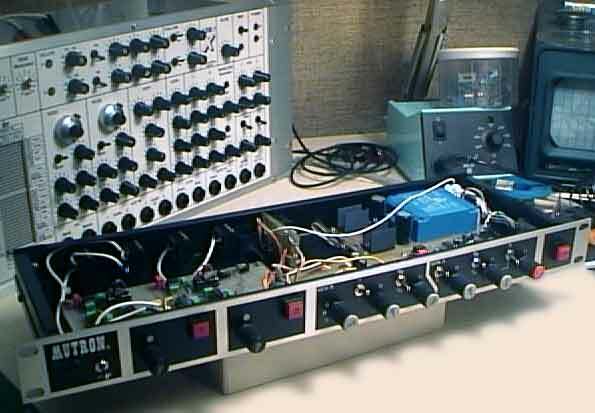 The clone is an exact copy of the original for audio part and sweep generators. The difference is on led modulation drivers, where original circuits have been replaced by a calibrated CV input and a scale/offset stage for a larger adjustable range. Controls are the same as the Mutron simply added a pot equivalent to"pedal pot" on original Biphase ( it was an external pedal unit ). 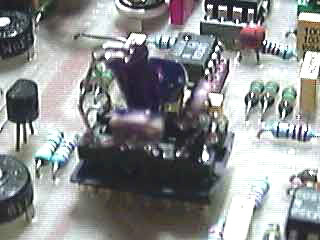 This pot allow a manual control of phasors, like the cutoff on a vcf also very slow modulations can be reach using it. An external CV modulation input for each phasor stage has been added. And sounds ? Fat and musical phasor effect is present same as the vintage, but with a sligthly larger sensitivity sweep....Like the original, the noise floor is very low .